Update: I've dropped the price to £2800 / sensible offers. Feel free to DM me if anyone's interested in giving it a good home. Priced at £2800 / sensible offers. 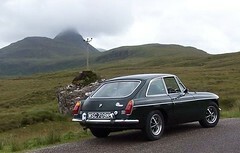 2.2 litre 170bhp with the later M54 six-cylinder engine fitted. High spec: beautiful black leather seats/interior, electric heated seats, Air con, DSC traction control, electric window and mirrors, Sony CD with bluetooth. All working. New roof fitted by previous owner. Wind deflector and hood cover also included. FSH with extensive history file from new (see photo). Two original BMW keys and all manuals. Garaged. Whilst owning this car it has had new battery, rear shocks, ABS sensor, brake calliper, MAF sensor, air intake hoses, water pump (uprated), drive belts, spark plugs and fuel and air filters. Serviced annually with Castrol Edge 0-30w oil. Diff, brake, coolant and transmission fluids also changed. 4 premium tyres fitted with lots of tread. Only run on Shell v-Power super unleaded. No fault codes. Code reader included in sale. Overall, it's in great condition for its age. Regularly washed and waxed. A few imperfections here and there (see minor scuff on wheel arch photo), but nothing unexpected for a car of this age. Alloys would benefit from a refurb, but I've factored that into the price. That's never bothered me tho, they still looked great IMHO. It's booked in for a fresh MOT this week. Current MOT expires 14 Nov 18. Thanks to everyone on this forum for all your advice over the years. You've been great at sharing your wisdom. 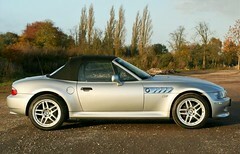 I hope one day that I might get to own another z3!